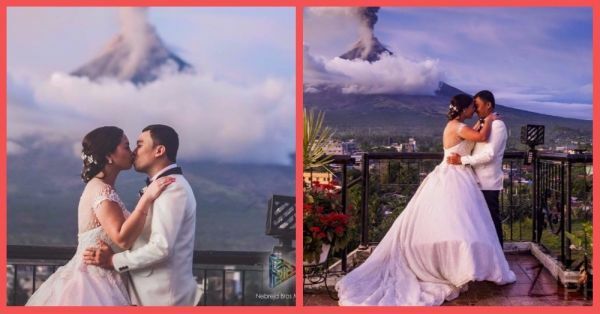 This Couple Turned A Volcano Into A Magical Backdrop For Their Wedding Photo Shoot! Instagram has turned us all into photographers. And the obsession has reached a point where we aren't satisfied with ordinary surroundings. 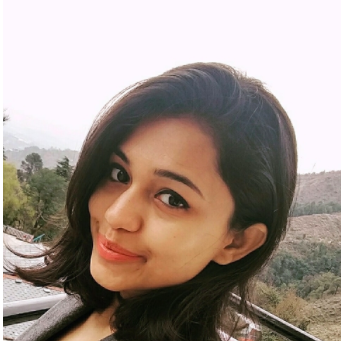 From lush green meadows to ice-capped mountains, we always fidget about the scenery behind us. The concern turns grave when it comes to your marriage photo shoot. Apart from the dress, the pose and the photographer, the location needs to be perfect. So when Maria Hussa Maica Nicerio and her husband Arlo Gerald de la Cruz tied the knot, they made sure that the location was a sight to behold. 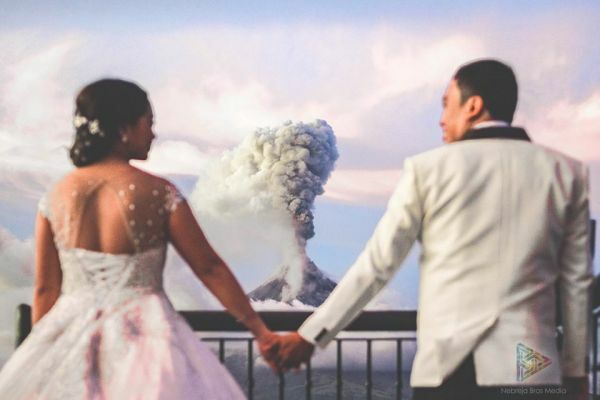 This Philippine couple posed for their wedding photos in front of an erupting volcano. Sounds really adventurous, exciting and at the same time unnerving too, right? Take a look at the pictures taken by Nebreja Bros Media and see how they turned a volcano into a dreamy background. 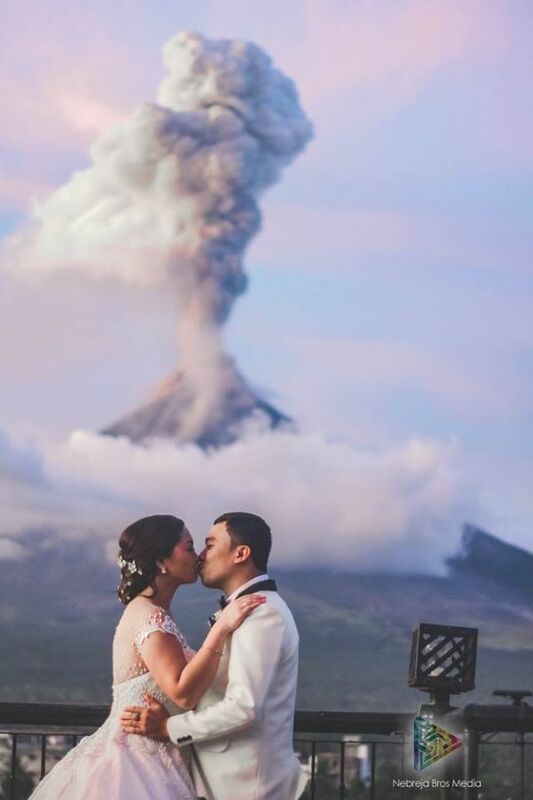 According to reports, Joan Nebreja who manages Nebreja Brother Media says, "They were a little bit stressed before the wedding because of the situation as the Mayon volcano is unpredictable. We don't know when it will blow or not." 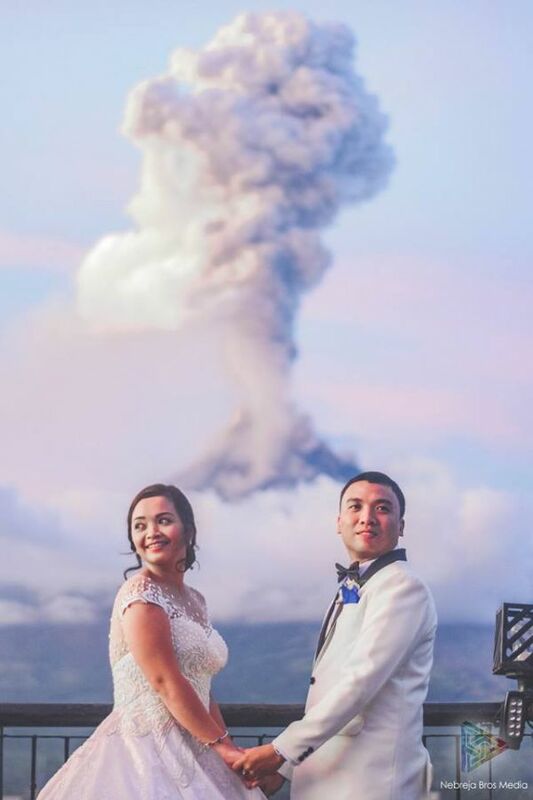 According to The Sun, the Mayon volcano erupted just at the opportune moment making their big day extra special. This is how the Mayon volcano looks like, as seen from Legazpi, sending out a cloud of ash into the sky. Who knew volcanoes could be enticing too? Like really! And that's how they sealed it with a kiss. Here's a video of their wedding. Like they say, all is well that ends well. We wish the couple lots of love and adventure in times to come.